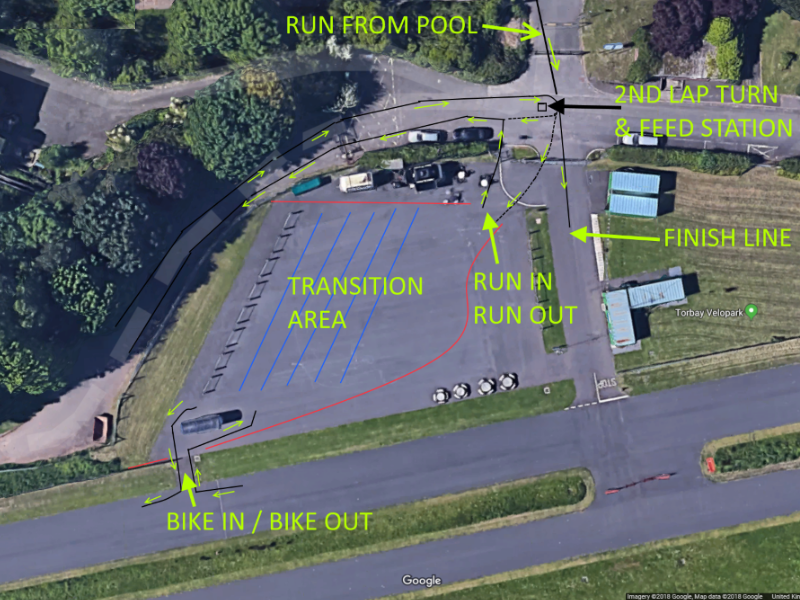 Torbay Triathlon (Junior & Senior ) for all ages and all abilities from 8+. This festival of triathlon will feature both junior races and adult races on the Sunday. The totally traffic-free triathlon is the perfect way for anyone to start in the sport, with a pool based swim, followed by a Velopark ride on smooth tarmac and a parkland run. All staged in the beautiful and internationally recognised English Riviera Geopark, South Devon. 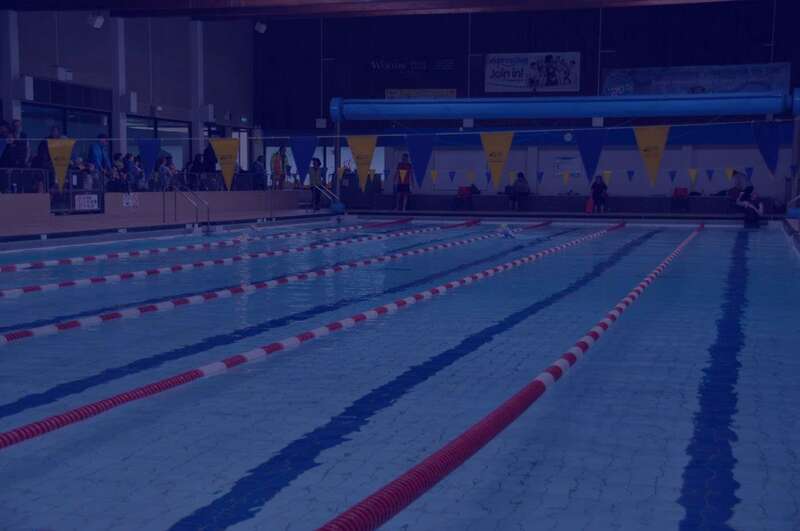 The swim is in the newly refurbished 25mtr swimming pool, followed by between one and 10 laps on the super-smooth tarmac of the Velopark. 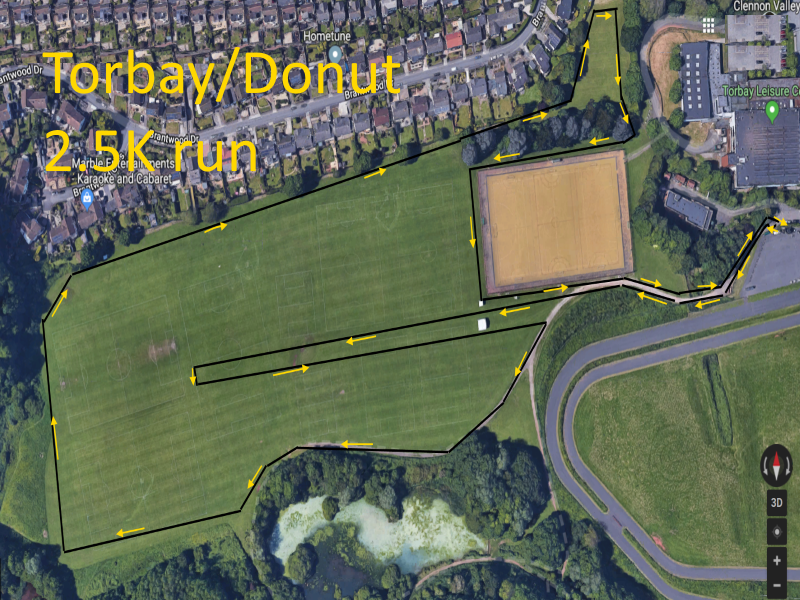 The race finishes with a one or two lap run (depending on your category) on a fast and flat parkland course. HOW FIT DO I NEED TO BE & WHAT ABOUT EXPENSIVE KIT? A swimming costume, any road worthy bike, a helmet and a pair of trainers and you are ready to take part. Front crawl or breaststroke, all in one go or stop after every length, it’s your choice. Swimmers are grouped by ability so it’s fun for everyone. We also have a Go Tri category aimed at absolute beginners. 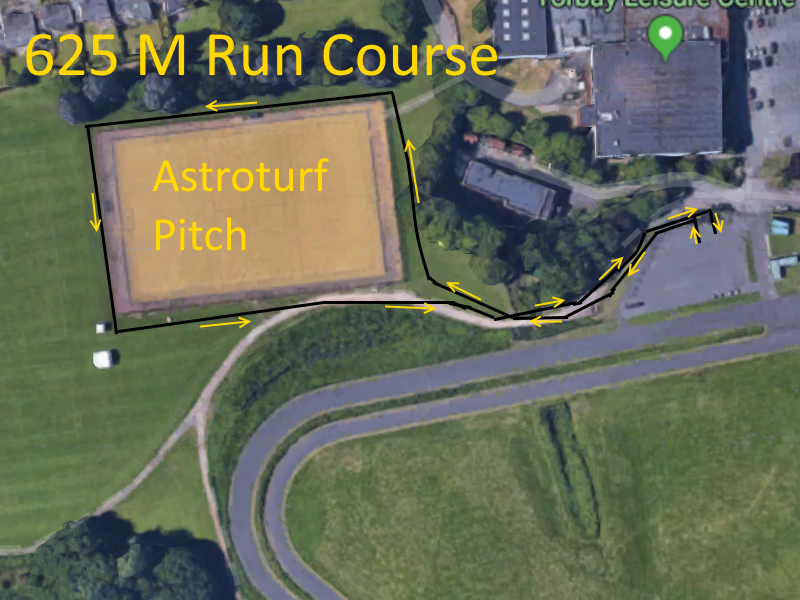 625m run route – anti-clockwise around the astroturf pitch. 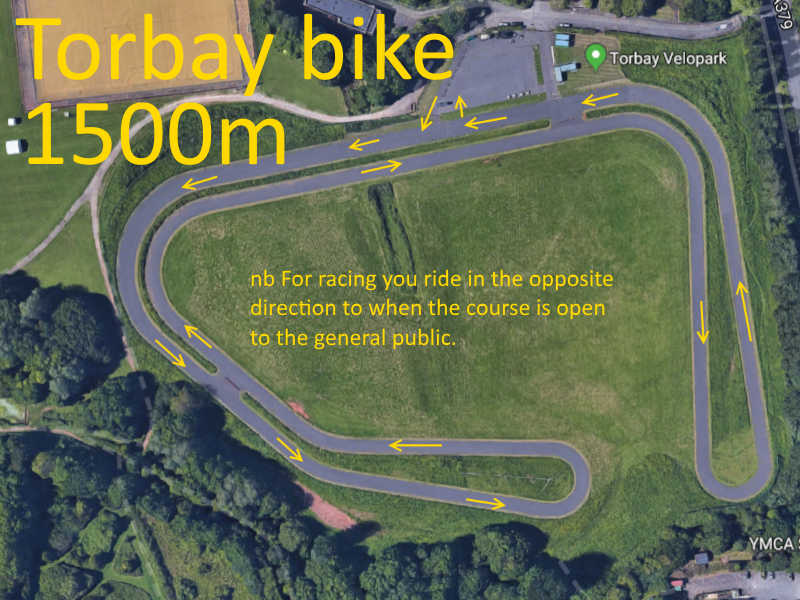 1500m - ride in opposite direction to usual (when track is open to the public).